One of the missions that Sun Lakes United Methodist Church continues to support is Victory Place, a shelter for homeless veterans. 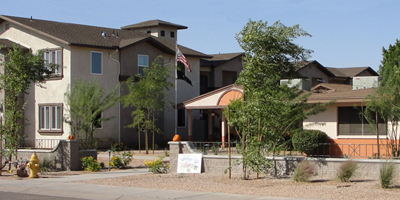 Victory Place is a 67-bed facility in Phoenix available for homeless veterans, that provides many services such as outreach and assessment, residential and non-residential employment services, long-term transitional housing and sobriety support groups. The veterans are provided meals by the Carl T. Hayden Veterans Affairs Hospital and also receive counseling services at the hospital but live at Victory Place. We thank the members of Sun Lakes UMC for your help and support of this noteworthy cause and thank you for your donations of used clothing and food for the center.